Imagine covering your home’s windows with sunscreen to safeguard the people and property inside. In fact, there’s something stronger and longer lasting that offers a high degree of protection against ultraviolet and infrared rays—residential glass tinting in Houston, TX. Rely on Wilson Glass Tint to install a sun shield that provides your home with the shade you’re looking for. In business since 1985, our window tinting company provides products and services at highly competitive rates. We aim to save you money while applying powerful and durable residential window tinting that comes in a variety of different shades, depending on the level of protection your house needs. Window film also comes with a lifetime warranty. Call us to schedule installation. We know you want to save money on your energy bills. A highly effective way to do this is with house window tinting. The film we apply is strong enough to filter out a high percentage of infrared rays, which heat up your home unnecessarily in the summertime. With window tinting, your dwelling is cooler, meaning you don’t have to use as much energy to air condition your dwelling. In the opposite fashion, tinting holds warm air in during the winter, preventing heat loss and requiring less energy to maintain your home in comfort. The same sunlight that causes your house to heat up also results in glare. This makes it necessary to draw the shades or pull the blinds, which unfortunately blocks the positive impact of natural sunlight. The installation of window film allows light in but keeps the glare out. The dual nature of the sun’s benefits also comes to light with privacy concerns. The light that allows you to the see the outside enables others to see inside your house. With the application of window tint, your visibility and privacy are preserved. As welcome as it came be, daylight can be harsh. The sun’s rays are particularly damaging to furnishing and artwork, even through a window. Glass alone is not enough to stop the sun from causing a couch, carpeting, and paintings to fade and lose their beauty and value. 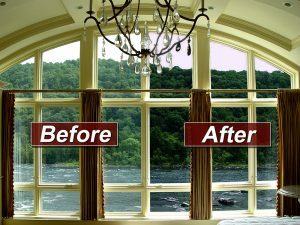 Extend the life of your furnishings and preserve the value of your artwork with window tint. Ask our company to provide you with an estimate of service. 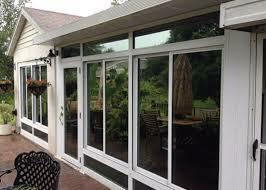 Contact us today for the comfort and privacy window tint brings to your home. We proudly serve customers in Houston, Texas.